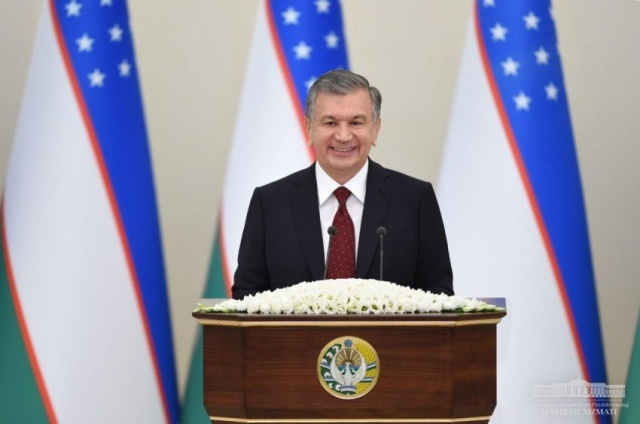 The President of the Republic of Uzbekistan Shavkat Mirziyoyev addresses the Parliament of Uzbekistan. The Head of the state focused on activities carried out in the past year. – There is a deep meaning in the sacred Hadith of the great Imam Bukhari: “The reward of deeds depends upon the intentions and every person will get the reward according to what he has intended”. Naming 2018 as the Year of supporting active entrepreneurship, innovative ideas and technologies, we implemented 76 thousand projects worth 21 trillion UZS and 1 billion USD under the corresponding State program, which speaks of the scope of our activity, which we started with good intentions, – said Shavkat Mirziyoyev. It was noted that due to measures taken, real incomes of the population increased by 12 percent compared to 2017. Part of tax revenues that exceeded the forecast parameters remains at the disposal of local budgets, due to which the regions received an additional 5.5 trillion UZS. This is 6 times more compared to the last year, and 32 times more than in 2016. More than 2,600 business projects have been implemented at places within the framework of “Every family is an entrepreneur” and “Youth is our future” programs. 416 villages acquired a new look as a result of “Obod qishloq” (“Prosperous village”) and “Obod makhalla” (“Prosperous neighborhood”) programs. On December 22, 2017, President Shavkat Mirziyoyev addressed the Oliy Majlis for the first time in the history of the country. The Address of this year also analyzes activities carried out in 2018, outlines plans for the next year, the main directions of domestic and foreign policy of the country, which causes great interest among all.